September comes and I feel the end of the year is already here. With schools reopened, I am sure many feel the same way, thrown back in a hectic routing of preparing kids’ lunch, homework, taking them back and forth to game practices and school events. I don’t have kids, thus I am out of this kind of routine. I have clients who push to finish their work before the holiday start and that happens very soon with Halloween. September reminds us that nature will go on hibernation soon, leaves will turn yellow and will fall to the ground lifeless. That’s the dark side of yellow, but we are not going to look at that for the moment. September is the month to manifest new ideas and new things we want to happen in the new year, in business or personal life. 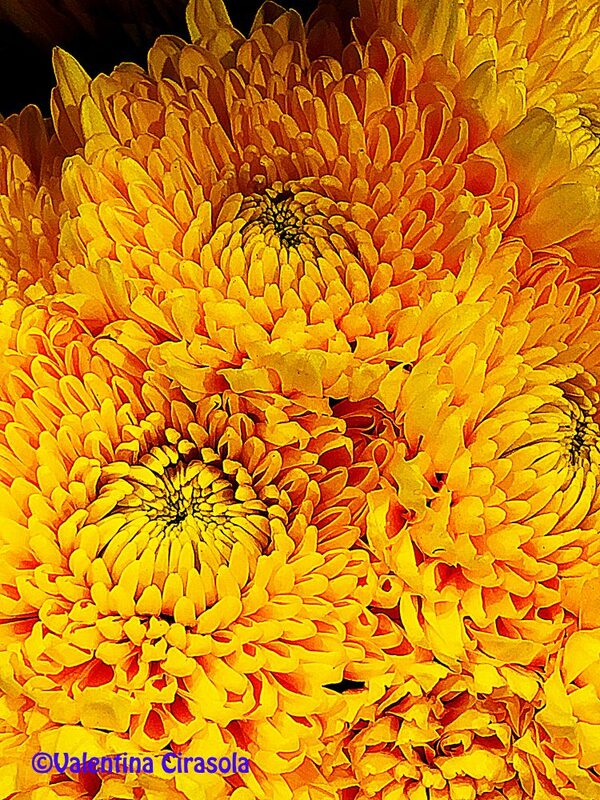 Yellow is the color to focus on for manifesting. The sun wakes us up every day, fills our rooms with a bright light and illuminates most of our day. The sun acts like a battery charger and so does yellow. As long as we manifest our wants, needs and desire imagining a yellow light going through our body, surrounding ourselves with yellow flowers or objects, wearing yellow/gold clothes and eating yellow food, we will vibrate as if the sun is going through our body. It will take a few days, but we will see a clear picture in front of us and we will take actions to make things happening the way we want. Then we will go to green, the heart chakra, because we will feel at peace that what we have manifested is taking shape with our actions. Luckily, most of my walls are yellow, from dark to light and golden, I get naturally energized. However even I need a bit more yellow when manifesting. 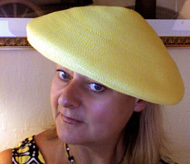 This week, I have worn ochre, sun yellow, light Chartreuse and golden, mixed with blues, brown, greys, bronze and white. 1. canned tuna, olives, capers, cherry tomatoes, bread crumbs, olive oil, salt & pepper. 2. ground meat, mozzarella, cherry tomatoes, spices, beaten egg, olive oil, salt & pepper. 3. rice, cherry tomatoes, any cheese you like, beaten eggs, olive oil, salt & pepper. The list could on forever. Mini peppers stuffed open face with saffron rice, spinach, beaten eggs, breadcrumbs, spices, olive oil, salt & pepper. 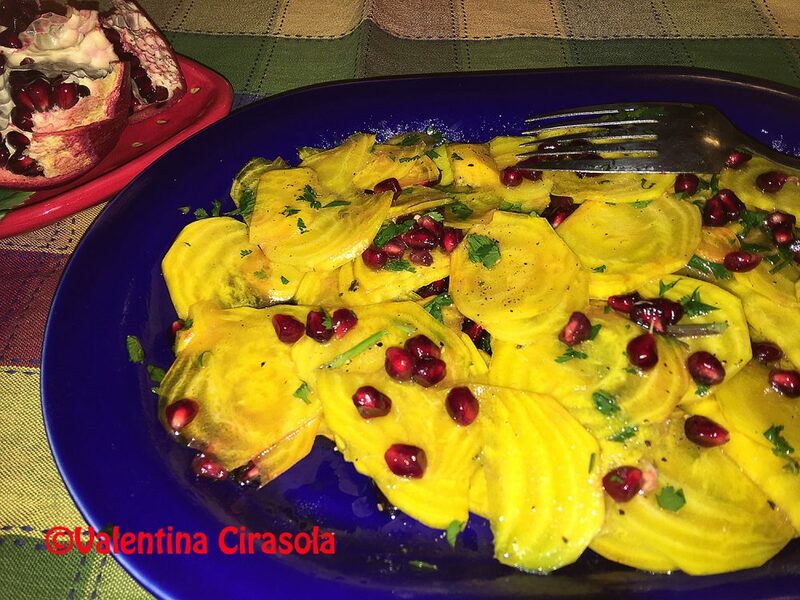 This is a salad of briefly boiled yellow beet with pomegranate, basil leaves, olive oil, salt & pepper. There is no better way to get energized with yellow food, but the healthy way. Valentina Cirasola is an Italian Interior Designer working in the USA and Europe since 1990, specializing in interior and exterior, color analysis, kitchen, bath, wine cellar, and outdoor kitchen designs. Often people describe her as “the colorist” as she loves to color her clients’ world and loves to create the unusual. “Vogue” magazine and many prominent publications in California featured Valentina’s work. She was featured on RAI – Italian National TV and has made four appearances in shows on T.V. Comcast Channel 15. Author of three published books, the latest ©RED – A Voyage Into Colors is on the subject of colors. That’s right and even Yellow Submarine, Beatles. Thank you Mabel, I can never have enough yellow. If you want to get noticed wear yellow, if you want to sell a house faster, paint the entry door in yellow, it’s all about inviting the sun energy in our life. 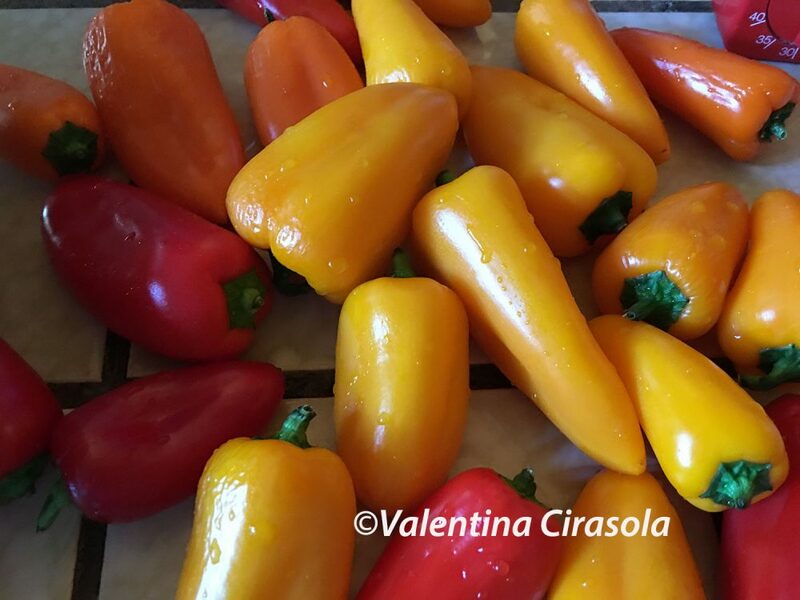 Yes, the yellow peppers are very healthy the way I prepare them and they are baked. Oh, I so love the light, mirrors and wall photo! It draws me in. It is a pleasant corner Cindy. Thanks for the visit.